When it comes to snacking, Americans don’t mess around! According to the United States Department of Agriculture “Snacking Patterns of U.S. Adults” report, one-quarter of Americans’ daily calories now come from snacks. This is up considerably from years ago, and a whopping 97 percent of Americans are snacking regularly. Daily snacking has clearly become an integral part of the American diet. Snacks may be convenient for our increasingly fast-paced, on-the-go lifestyles, but at what cost to our health and wellbeing? 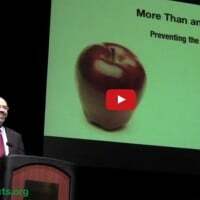 That's why we need to look at healthy plant-based vegan snacks! “Overall, the foods and beverages contributing the most calories at snacks are not the most nutritious options,” according to the USDA. That’s basically a nice way of saying that Americans are snacking on junk foods – foods high in sugar, salt, and fat and low in nutritional value. 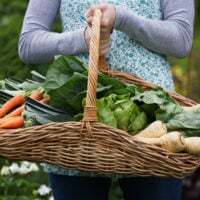 These junk foods, such as potatoes chips, pretzels, fried tortilla chips, cookies, candy and sugar-laden energy bars are definitely not the kind of thing health-conscious plant-based eaters want to be consuming. 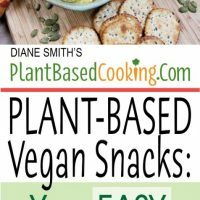 The good news for plant-based vegans is that there are lots of healthy plant-based vegan snacks available. Everything from the simplest on-the-go snacks to more elaborate creations. Sweet, juicy and delicious. It can be hard to believe that fruits are actually nutritional powerhouses loaded with disease-preventing antioxidants, vitamins, minerals, and dietary fiber. Fruit, whether fresh or frozen, makes a great snack. Especially when you need extra energy for exercising or other strenuous activities. It takes just a minute to slice an apple into a sealable plastic bag and off you go, portable healthy snack in tow. At home, enjoy whole apples, bananas, pears, peaches, apricots, nectarines, oranges, and grapefruits. Or bowls filled to the brim with berries, cherries, mangoes, kiwis or pineapple. Bowls of fruit can be enjoyed on their own or drenched in non-dairy milk, coconut cream or non-dairy yogurt (see below) for more of a dessert experience. Plant-based non-dairy soy, coconut and almond yogurts are increasingly available commercially in single-serving, portable containers that can be enjoyed at home or on the go. Some varieties also come in larger, more economical multi-serving containers. If you’re curious about what’s out there, check out “The Unofficial Ranking of Non-Dairy Yogurt Brands” online for some taste, texture and price reviews. 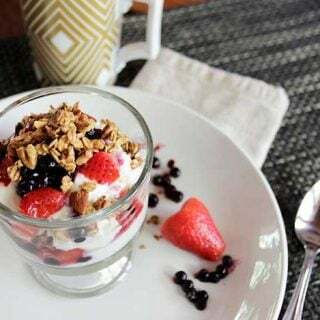 While non-dairy yogurts tend to be lower in protein and calcium than their dairy-based counterparts, you still get all the same healthy gut benefits from live, active probiotics. But non-dairy yogurt can also be made at home with a fresher taste, higher quality ingredients and nutritional value, and without all those fillers. Be sure to check out my recipe for Soy Yogurt. If you don’t have a yogurt maker, check out this article, “How to Culture Yogurt Without a Yogurt Maker”. 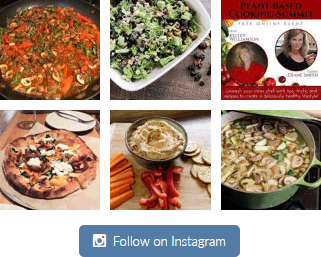 It’s easier than you think and so worth that delicious homemade taste. Always good to know exactly where your food is coming from! And best of all, you can add whatever fruits, nuts or other flavors, such as cocoa, that you like. The only limit is your imagination. Vegetables, being at the heart and soul of a plant-based diet, of course, make outstanding, low-sugar, fat-free snacks. Try a chilled Corn, Tomato Salad. Or for something quick and portable, chop up carrots, cucumbers or celery into snacking sticks, or as the French call raw vegetables, crudités. You can add salt, pepper, garlic or onion powder or other seasonings to taste, or combine vegetable sticks with nut and seed butters, cheese sauces, dips or hummus (below). Did you say “healthy chips?” Perhaps, like most people, you didn’t realize there was such a thing. But thankfully for diehard snack lovers, I’m happy to say that there is! And the best news is, they pair well with hummus and other healthy vegan sauces, dips and hummus (below), of which there is something for virtually every taste. In terms of store-bought snacks, kale chips are definitely the most nutritionally-dense. They're high in vitamins A, K, and C, as well as a host of other vitamins and minerals. But, they also tend to be pricey. 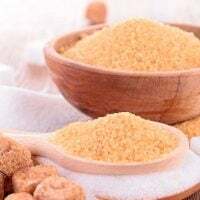 Whole grain crackers – and be sure to look for 100 percent whole or sprouted grain with no refined flours – are a less costly but also less nutritious option. Although, they can be good sources of fiber. Be sure to check the labels and compare the nutritional and fiber content when purchasing store-bought chips and crackers. These can vary greatly in quality from brand to brand. But you don’t have to buy chips in the store! You can easily, quickly and affordably make your own oil and gluten-free tortilla chips at home from whole corn tortillas. 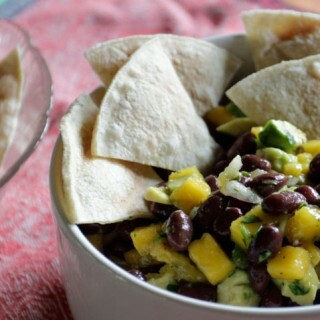 I have a simple recipe for these quick chips in my Mango Salsa & Baked Tortilla Chips recipe. If you’re having serious cravings for salty and crunchy and are ready to invest a little time and energy, you’ll love my Oil-Free Chips recipe for potato, yam or tortilla chips, complete with an instructional video. Also, delicious Kale Chips can also be made at home with minimum effort and much more affordable than the pre-packaged kind. Last but not least, what would healthy snacking be without granola, that long-time favorite? Try my delicious and nutritious Low-Fat Cinnamon Nut Granola for a wholesome treat the whole family will enjoy. Sauces, dips, and hummus are great for adding flavor, fullness, and nutrients to vegetable sticks and whole grain crackers and chips. Vegan cheese sauces, such as Cashew Cheese Sauce, Chili Cheese Dip or Cauliflower No Cheese Sauce, are super-tasty and rich. When it comes to dips, varied healthy vegan options abound, such as Roasted Red Pepper, Baked Artichoke, Caramelized Onion, Edamame (whole soybean) , and Basil Spinach. 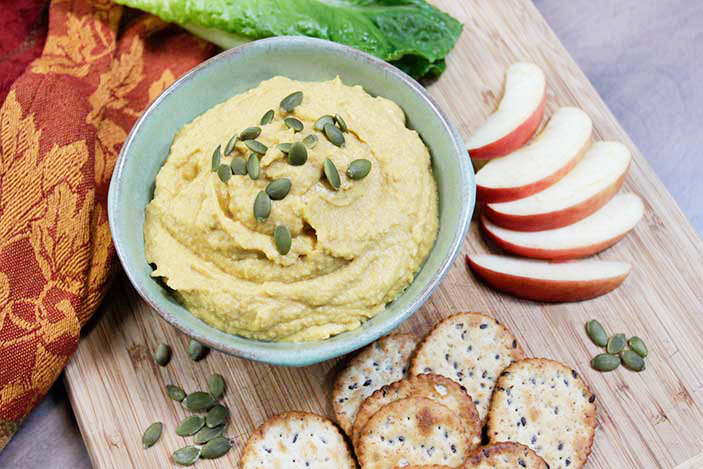 And don’t forget that tried and true high-protein vegan standby, hummus, which comes in a version for everybody! Even the fussiest eater: Low-Fat, Oil-Free, Sun-Dried Tomato Basil, Pumpkin and Roasted Carrot and Garlic. Nuts, such as almonds, hazelnuts, cashews, filberts, walnuts and Brazil nuts, and seeds, such as sunflower and pumpkin seeds, make excellent portable snacks, albeit in moderation because they are high in fat and calories. Nut and seed butters such as almond, cashew, peanut, sesame (tahini) and sunflower butters are delicious on a spoon or on vegetables, crackers or chips. Unfortunately, they don’t travel so well. Nuts and seeds are high in protein and other nutrients. With their high-fat content, they can give you a full feeling for hours. Enjoy them roasted or raw, salted or unsalted. Try my High Protein Trail Mix. A medley of soybeans, pistachios, pumpkin seeds, almonds, oats and vegan chocolate chips. 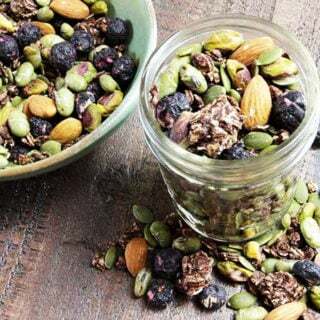 While commercially-roasted nuts and seeds are generally coated in oil, except for dry-roasted peanuts, you can make your own oil-free roasted nuts and seeds at home in the oven or on the stove. So there you have it! Take heart, plant-based vegan eater! As you can see, there’s no reason to feel deprived when it comes to snacks. Mother Nature has given us so many healthy and delicious options to choose from. 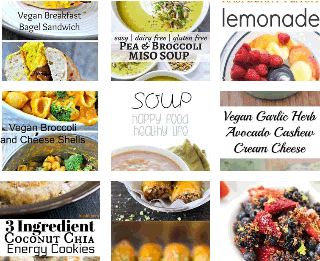 I’d love to hear which snacks you try and how you like them, so please be in touch by emailing me, diane@plantbasedcooking.com. Just the article I needed today! Thanks!